Turkish President and Chairman of the ruling Justice and Development Party (AKP) Recep Tayyip Erdoğan on Sunday called for a heightened witch-hunt against people in his party linked to the Gülen movement. 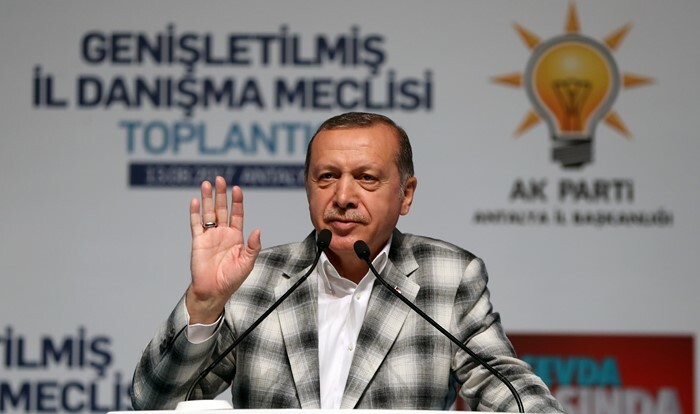 “We will not harbor people linked to FETÖ [a derogatory term coined by the AKP government to refer to members of the Gülen movement] under the roof of our party,” said Erdoğan during a speech to party members in Antalya province. “Inform us about the people linked to FETÖ. We have to immediately expel them,” added Erdoğan. Turkey survived a military coup attempt on July 15 that killed 249 people and wounded more than a thousand others. Immediately after the putsch, the AKP government along with President Erdoğan pinned the blame on the Gülen movement.